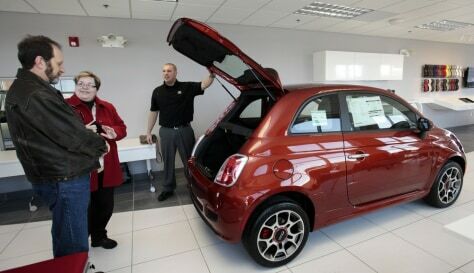 The 2012 Fiat 500 base Pop model is $16,000 with five-speed manual. The lowest-priced 500 with automatic transmission is $17,000. All 500s come with a 101-horsepower, four-cylinder engine.